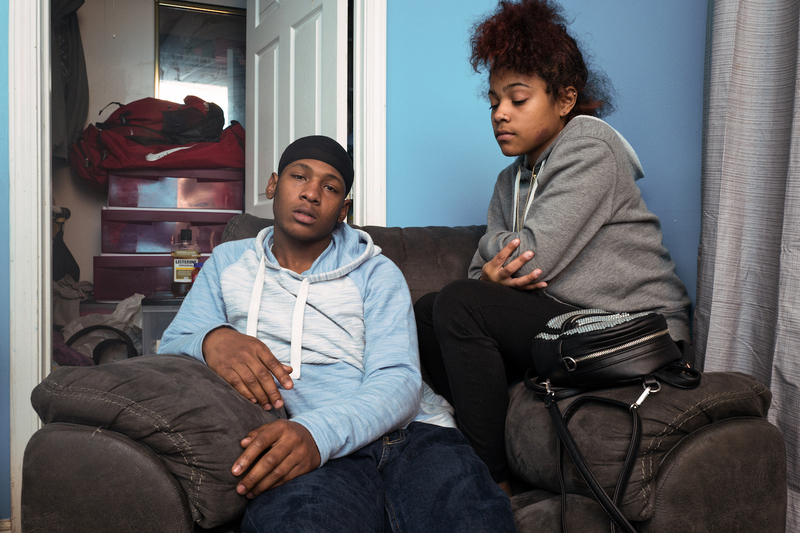 The purpose of this project is to put a face on an underserved demographic through a collection of here-and-now photos that capture these struggling youth in the midst of these pivotal years (18-25). 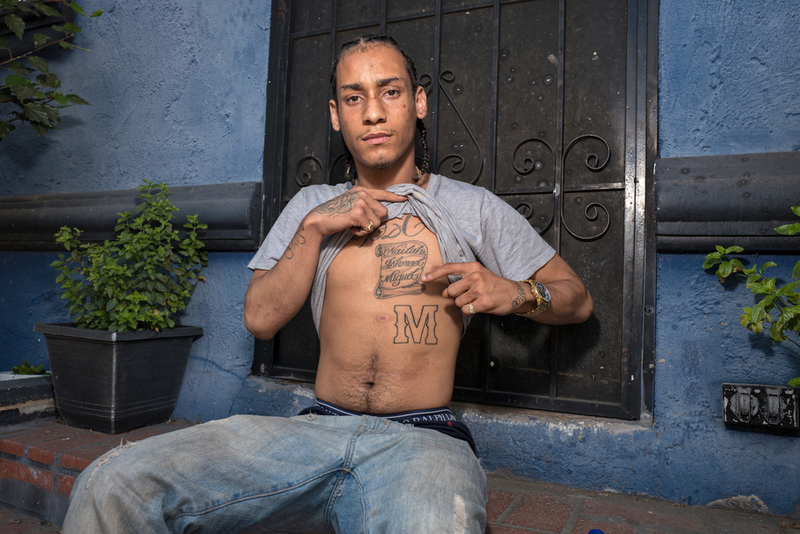 Isaiah, 19, displays the names of his estranged siblings were born into the system and got lost in the shuffle. Along with his older sister Kenesha, Isaiah was placed in roughly ten foster homes and experienced abuse. His undealt with behavioral issues kept him from graduating high school and he now has a tough time finding steady employment. 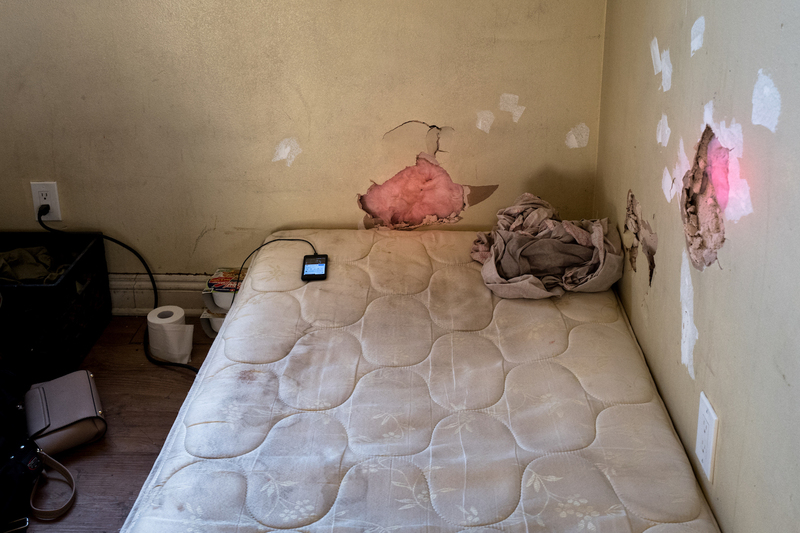 The abuse and neglect taking place in America’s foster system is well documented, but the aftermath is equally tragic. After being emancipating from the system (aka “aging-out”), foster youth find themselves facing the world alone, many unprepared to make the transition to independant living. Within one year the majority experience homelessness, addiction, incarceration, pregnancy, and/or PTSD. Los Angeles has more than most, particularly South LA (formally South Central). Making the transition to adulthood is hard enough as it is, but without a family or support system it can be next to impossible. Isaiah and three-month pregnant girlfriend Ashley, 18. 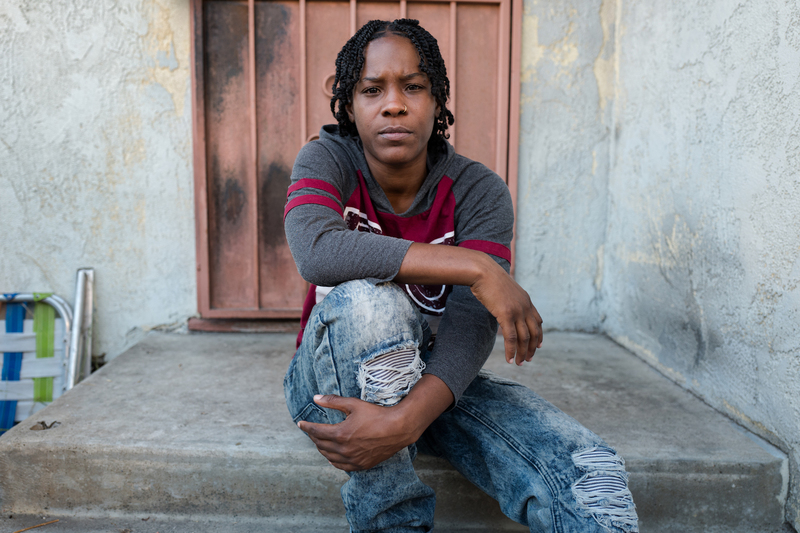 Ashley ran away from a foster home in Atlanta and came to Los Angeles to reconnect with her mother. Despite a lack of employment or housing, the couple are excited about being new parents and vow to keep their child from entering the system. 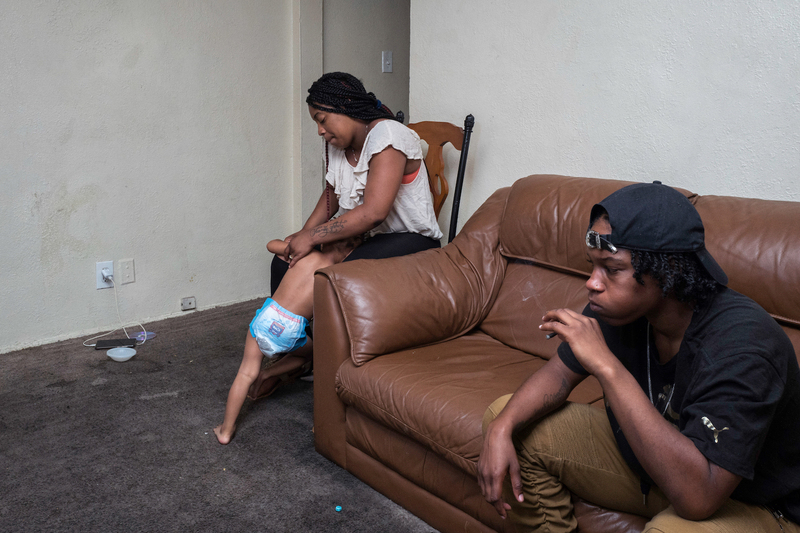 Now seven-months pregnant, Isaiah and Ashley have hit hard times and are forced to reside in a non-working car, though they remain optimistic. Unfortunately the couple lost the baby due to complications at birth. 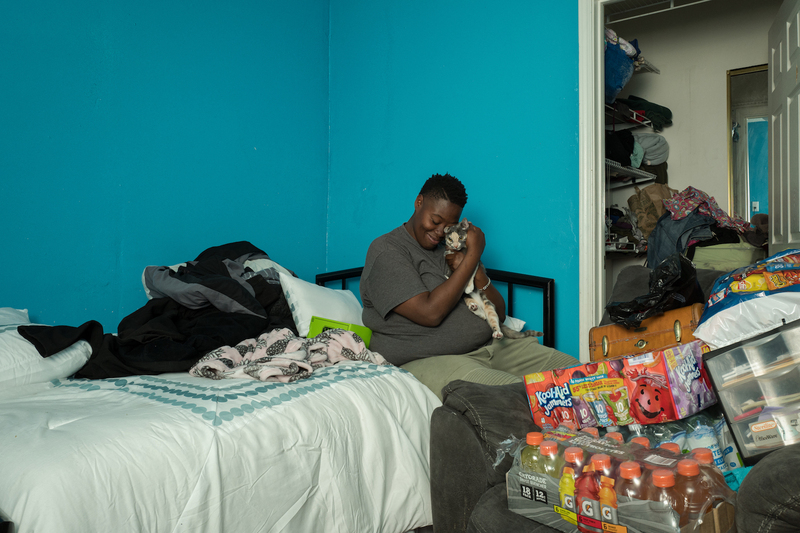 After ten days on a ventilator, Ashely is out of the hospital and celebrating her one year anniversary with Isaiah with a night in a motel room in Inglewood. Ashley and Isaiah contemplate their next move while waiting for a friend to arrive home that may have a spare room. Isaiah’s older sister Kenesha, 24, entered the system at 2 and suffered repeated physical and sexual abuse. In addition to the ill-equipped foster parents, Kenesha places blame on the social workers who were aware of the abuse yet looked the other way. Despite the chaos and constant school shuffling, Kenesha thrived in the educational system and plans on saving enough money to attend business school and start her own clothing line. 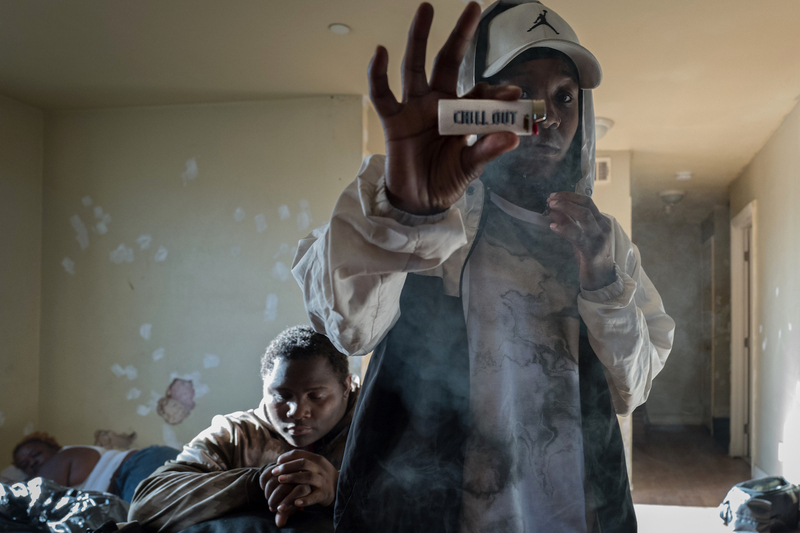 Kenesha shows her mantra for adapting to bad living situations, like this landlord-neglected room in Compton she shares with strangers. From age 18 to 21, foster youth are eligible for a pre-approved housing fund of $827 per month. However, many use fake addresses for approval and then spend the money elsewhere while living in much cheaper conditions. Kenesha unwinds after a day’s work in a noodle factory. 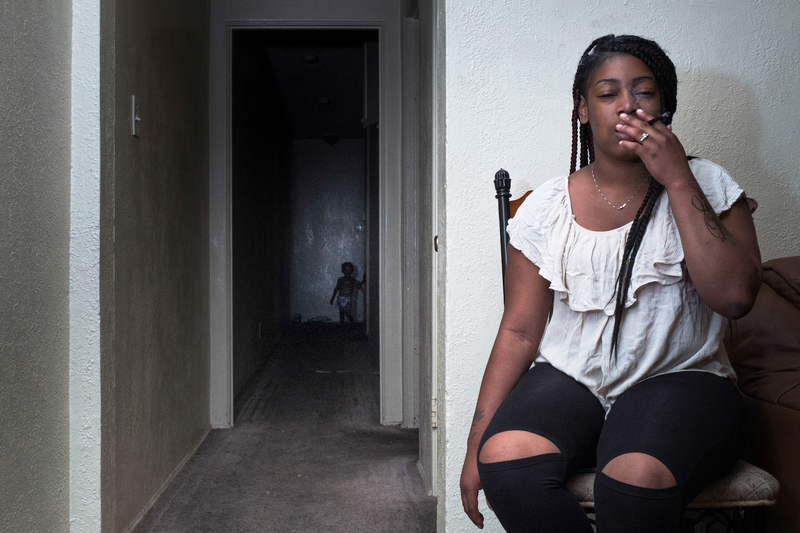 She’s in the living room of friend and fellow aged-out foster youth, Key, 27. Like many aged-out youth, Key had kids at an early age. She prides herself on being a better mother than she had but gets consumed by the struggle of work and raising 4 and 7 year old boys. A common criticism of the system is the over-prescription of antipsychotics. Here Anthony, aka Oxy, 27, shows a scar from surgery at age 15 to remove breasts that developed from the controversial drug Risperdal. Anthony’s prescribers neglected to inform him about the lawsuit against the pharmaceutical company that paid out millions to other victims for their physical and emotional trauma. 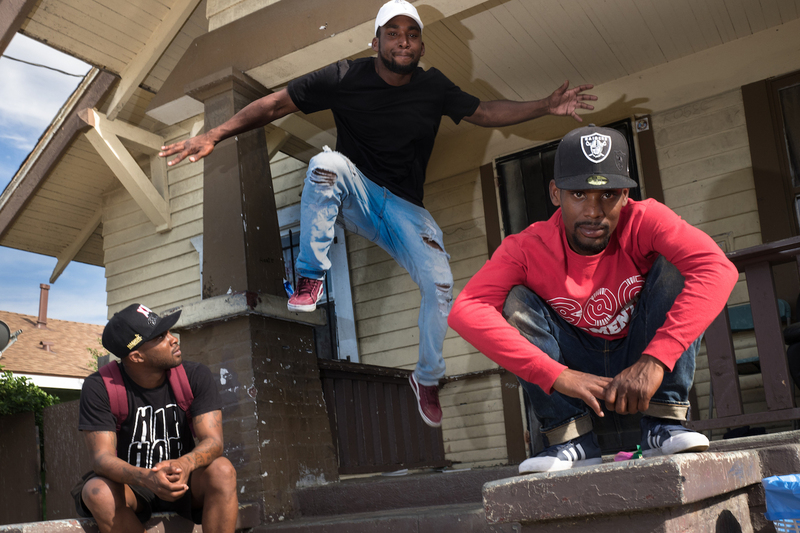 Anthony and brother Ravon, 25, aka Cineo, went through the system together and are now emergent rap artists working to expand the audience they’ve built in South Central and downtown Los Angeles. Anthony performs in a packed warehouse on Skid Row. 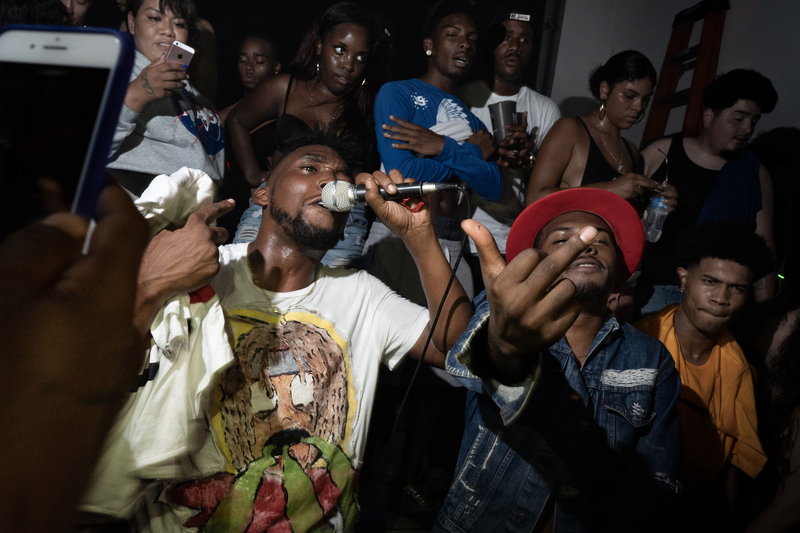 LA’s underground rap scene has considerable overlap with the aged-out foster demographic. Donesha, aka Donut, 23, entered the system at 2 and suffered emotional, mental and physical abuse. She has 12 siblings but has only met 3. She is an advocate for keeping family members connected to foster youth through drug counselling and other services that many find scarce and hard to access. 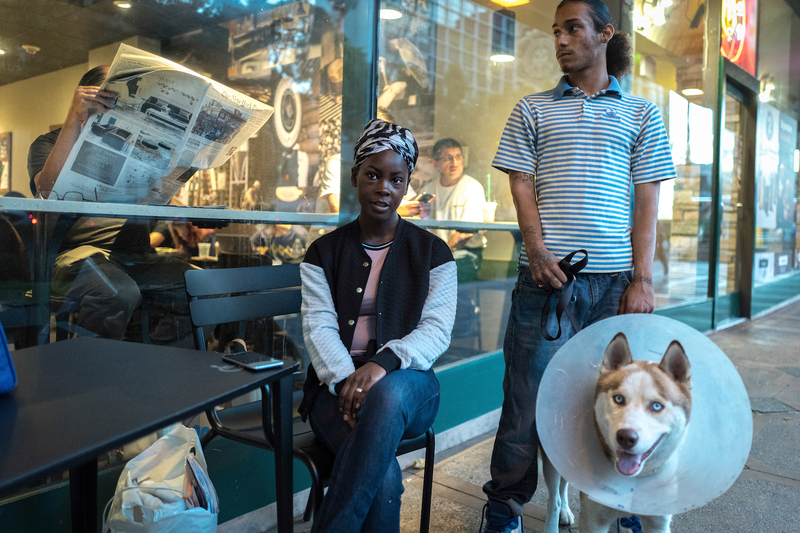 Donut attends Los Angeles City College and plans on becoming a parole officer. Donut keeps Josh, 23, company in LA’s seedy MacArthur park after sundown. The two met years ago in a group home in Hollywood. Josh sporadically takes classes at LA City College with Donut. Tuition waivers are available for foster youth who meet the GPA requirement. However, the level of work is next to impossible for homeless students. Like many aged-out youth, you would never guess Josh was homeless by appearance. He showers at school and finds various ways to keep clean through friends and laundromats. 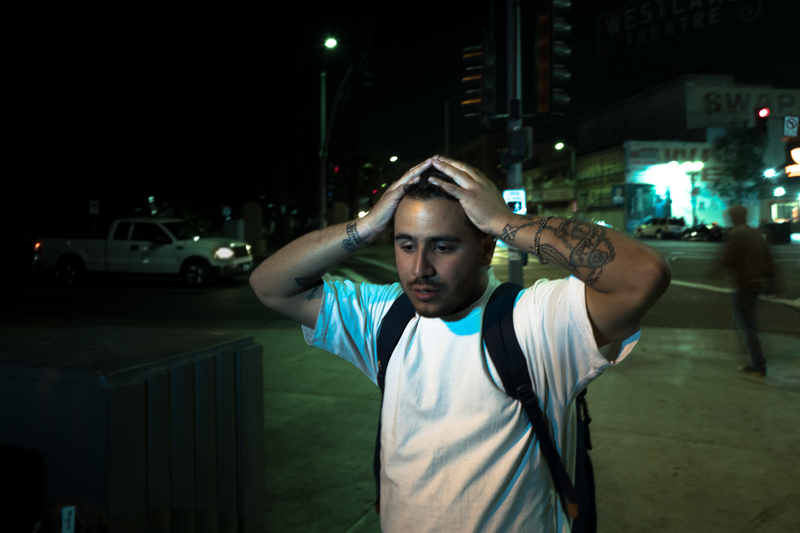 At night he sleeps on a bench in MacArthur Park among addicts and other homeless. Donut and friends with a shared history. Brazil and Aliyah left their foster home to escape abuse. Having no money or place to live, it was only a matter of time before they were back in the system. 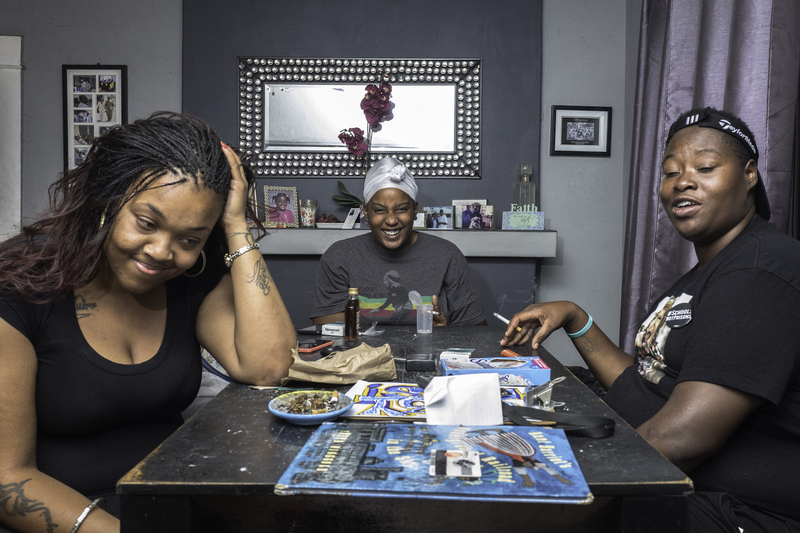 Keisha, 23, escaped the trappings of the system by emancipating herself at age 18. Without financial aid or any support system she endured chronic homelessness, survived a suicide attempt, and does what she can for money. Here she works a corner on Figueroa St. in South Central. The vast majority of her customers are upper-class white men from neighboring suburbs. 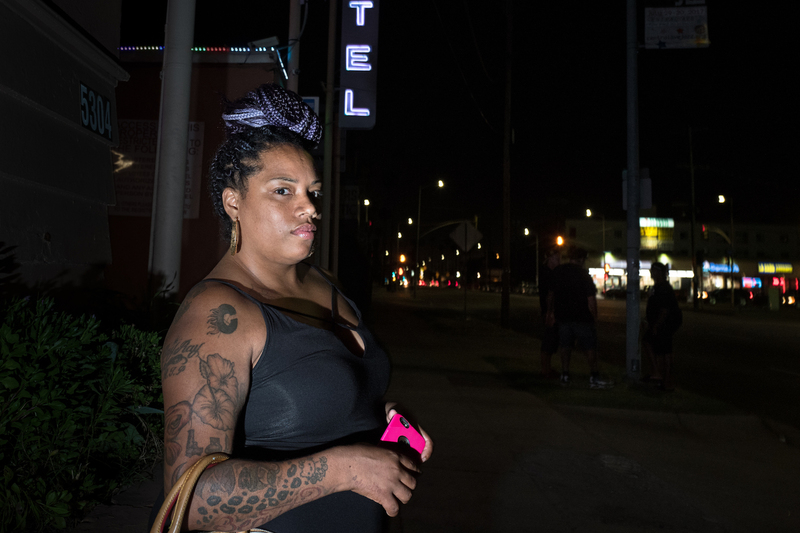 Keisha and half-sister Francesca find temporary shelter in an Inglewood motel room. They only recently met, but quickly became fast friends.